we had friends in town saturday night and i wanted to finish the meal with something sweet and impressive. admittedly, i'm a really horrible baker so i decided to go with an old childhood favorite that i knew everyone would love. 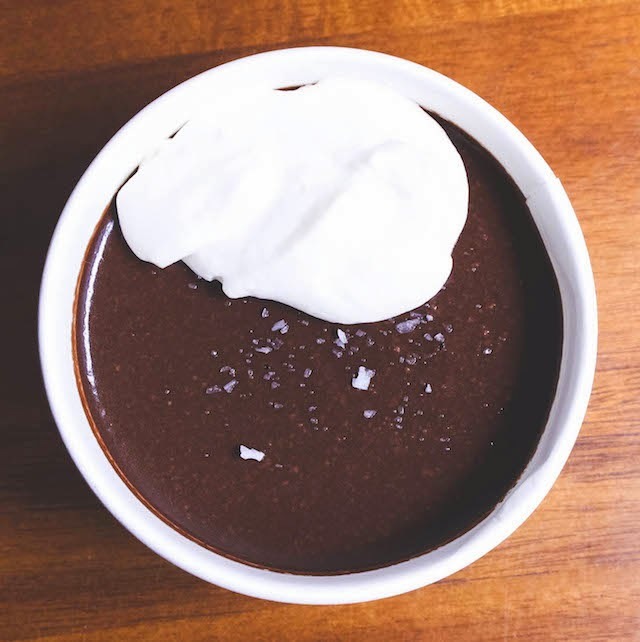 enter my sea salt bittersweet chocolate pot de creme with fresh whipped cream. 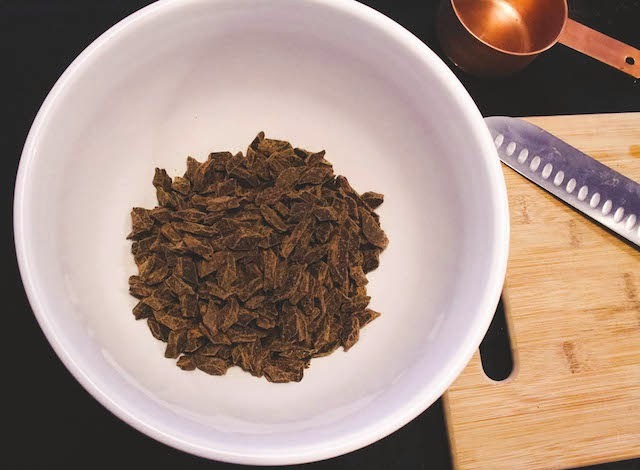 i promise that you will never regret trying this recipe. except maybe when you can't stop eating it. luckily it's so incredibly rich that i couldn't eat more than one serving. well, i could have if i'd been forced to but i wanted to save the left-overs for breakfast the next day. 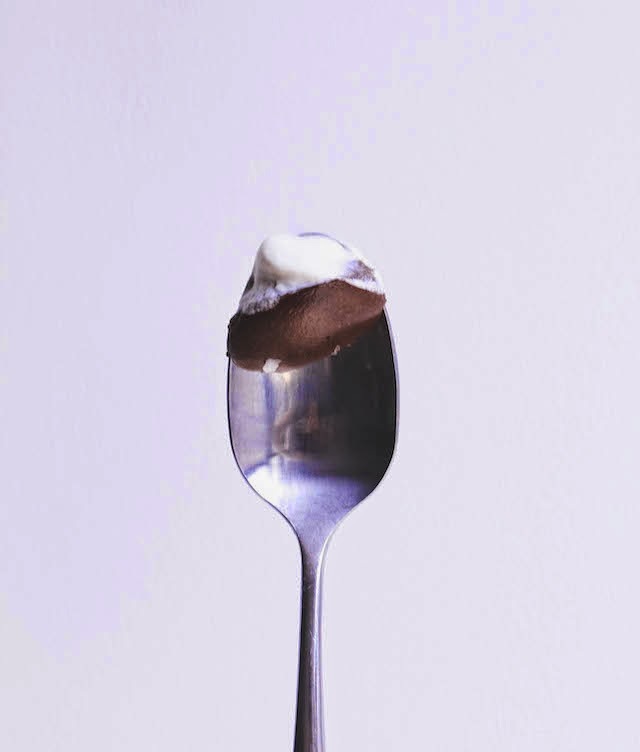 pot de creme is essentially just chocolate pudding with a heaping tablespoon of pretentiousness added in for good measure. not low-calorie. not low in sugar. not low in fat. in a medium sauce pan over medium-low heat, combine the sugar, milk, cream, egg yolks, espresso, and vanilla. whisk continuously for about five or six minutes to ensure that you don't scramble the yolks. 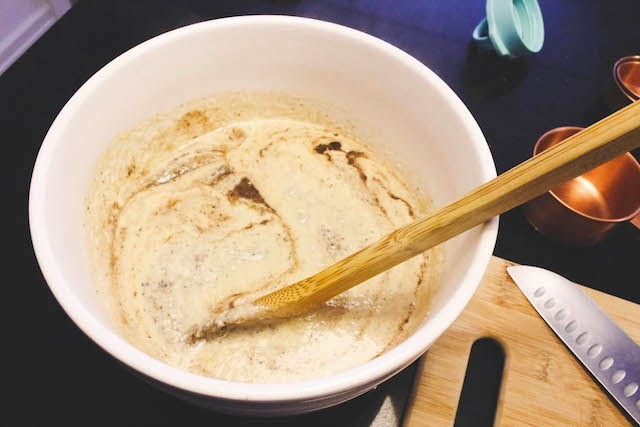 when it begins to really thicken, switch to a wooden spoon. add the cinnamon. when it's thick enough to coat the back of the spoon, turn off the heat. 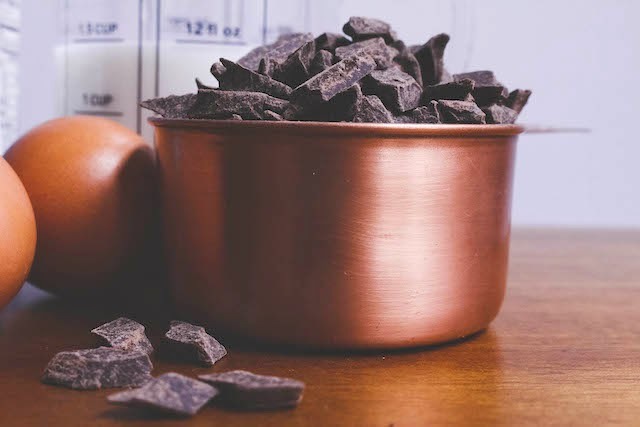 pour the chocolate chunks into a large mixing bowl. place a metal sieve on top of the bowl. 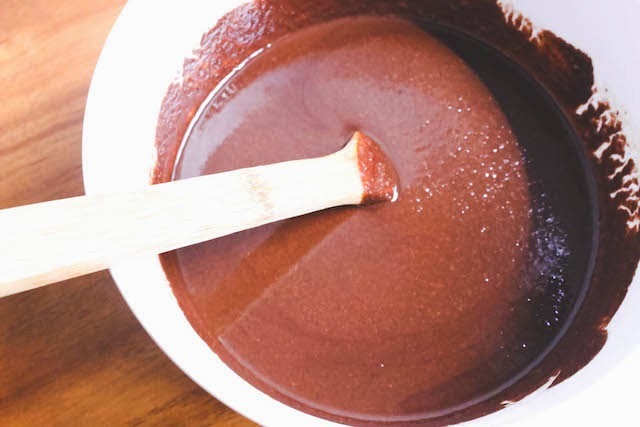 slowly, pour the cream mixture through the strainer and over the chocolate. (the strainer ensures that no cooked egg ruins your pudding. scrambled chocolate eggs... gross.) 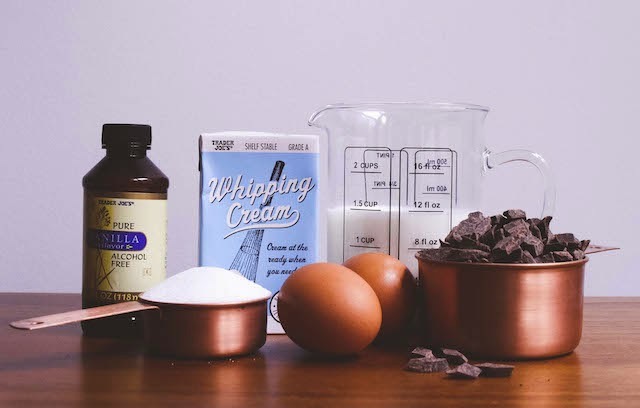 stir the cream and chocolate until the chocolate is completely melted into the cream. it should look shiny but it will also not look completely smooth. but don't worry. when it chills and sets, it will become velvety and flawless. promise! next, using a ladle or liquid measuring cup, ration the pudding into individual mugs or mason jars- i used paper cups because i'm fancy like that- and allow to cool for about ten minutes. every couple of minutes lightly tap the bottom of the cup or mug against the counter to make any air bubbles rise to the top of the pudding. 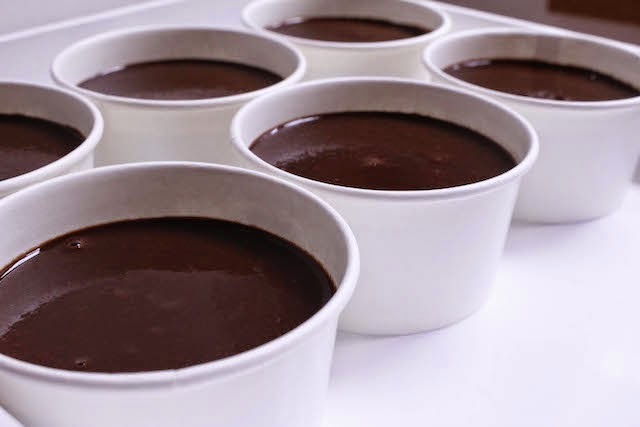 place them in the fridge for four to six hours or even overnight until the pot de cremes are completely set. the finished product should be dense, firm, yet still pillowy. you should be able to turn the mug upside down without it falling out. ps. don't try this until it's chilled for at least a few hours. 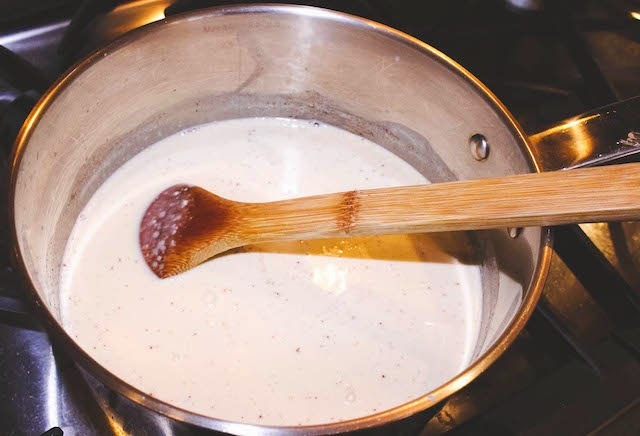 before serving, whisk the remaining cold heavy cream in a chilled bowl until firm peaks have formed. add the vanilla and powdered sugar until combined but don't over-beat the cream or you'll have butter. also, the cream has to be cold. you won't get anywhere with warm creams. also, yuck. sprinkle the top of the puddings with a little bit of flaky maldon sea salt and dollop on some whipped cream. 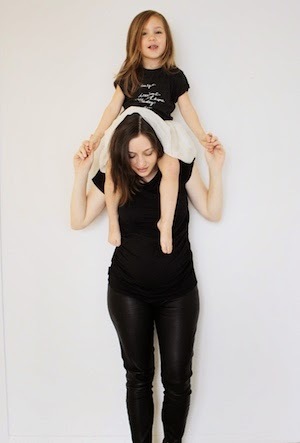 this post was originally featured on my monthly collaboration with littleboogaweezin, in the kitchen with mama + mo. you can see it here.